GC Products, Inc. GFRG & GFRC - Simple. Fast. Better. GFRG is a composite cast material consisting of industrial grade gypsum, continuous strand fiberglass and additives. It is a highly durable material capable of being cast into complex architectural designs. GFRC is a composite cast material consisting of cement, aggregate, alkali resistant fiberglass and additives. 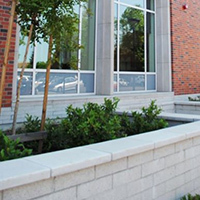 GlassFiber Reinforced Cement gives you the same look and feel of traditional cast stone without the weight limitations. 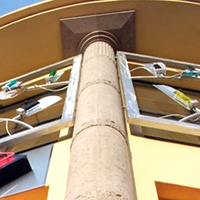 Architectural cast products are full weight solid gypsum or cement shapes with fiberglass reinforcement. These products are best utilized where high impact resistance is required such as wall caps, baseboards, pier caps, etc. 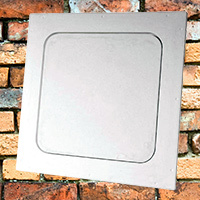 GFRG and GFRC access panels offer an aesthetically pleasing solution to ceiling or wall access panels. Whether keyed or drop in, our panels offer almost invisible access to anything from small plumbing fixtures to large HVAC units. GC Products, Inc. – Simple. Faster. Better. GC Products, Inc. is the industry leader in creating GFRG and GFRC solutions for difficult architectural designs. With an experienced management team, we are able to take your architectural concepts from design to completion. Utilizing state of the art technology, including BIM, 3-D modeling, CAD and CNC tooling, we are able to deliver solutions that will provide precise architectural features while saving time and money on installation and execution. 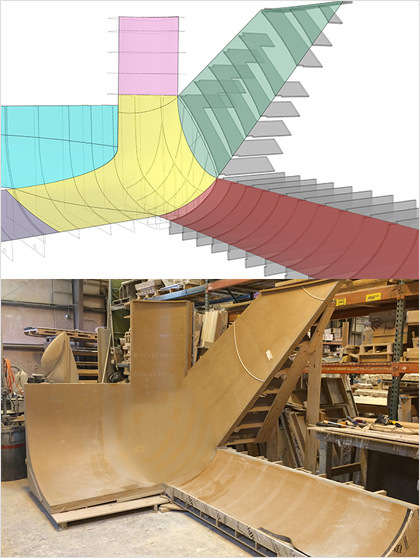 Estimating: At GC Products, we offer complete estimating and take-off services. Whether it is digital files or paper drawings, we provide highlighted plans that show exactly where our products occur. Line item estimates are provided for every project so you know exactly what and how much material is required. Design: Incorporating the latest software tools, we are able to seamlessly integrate our shop drawings into the architectural drawings. Whether using CAD, BIM or 3-D modeling, our design solutions will ensure the project will run smoothly throughout construction. Manufacturing: Using project specific molds, we are able to precisely cast architectural shapes to the exact design. With a variety of attachment solutions and architectural finishes, our expert casters will ensure your design becomes a reality. Located in Folsom, CA, Palladio at Broadstone features architectural GFRC columns, trims, sills, medallions, plinths and wainscot. Designed in an old world Italian look, GC Products was able to integrate their travertine textured architectural GFRC throughout the entire facility. Collaborating with Performance Contracting, GC Products provided architectural GRG/GFRG solutions to meet Samsung’s cutting edge designs. We supplied custom GFRG skylight surrounds with an integrated light cove and column wraps. Saving the contractor time and additional framing our columns and light coves transformed a typical lobby into an award winning architectural design. With a tight schedule and intricate architectural designs, GC Products provided GRG/GFRG ceiling systems and tiles, wall panels, light coves and trims. On the exterior, all the precast travertine wall caps were manufactured and supplied by GC Products. 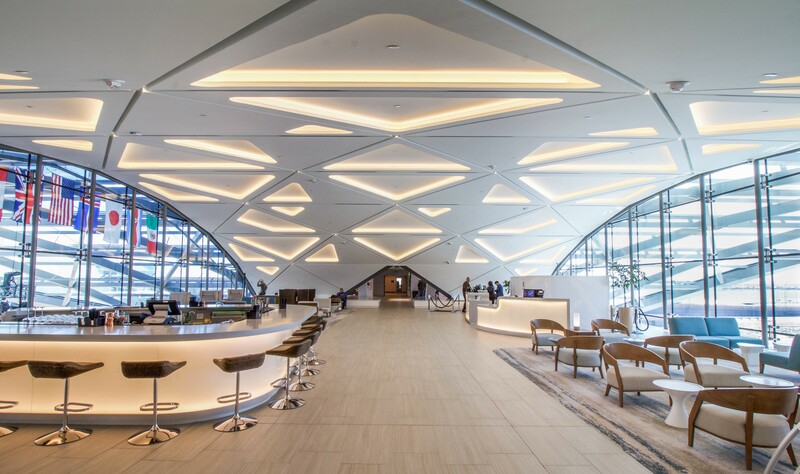 At The Westin, attached to the Denver International Airport, GC Products supplied various sized GRG/GFRG columns and access panels, as well as the custom ceiling located in the Sky Lobby. With column diameters ranging from 38” to 76” and up to 26’ height, GC Products was able to design the columns to fit jobsite conditions and meet the tight schedule. 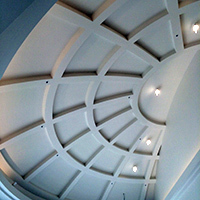 By producing detailed shop drawings, GC Products produced a radius custom ceiling that saved framing and manpower and installed quickly. Shane Grammer, SG Studios Inc.
Get in touch with the leader in manufacturing architectural GFRG and GFRC.